Join poets Kazim Ali, Leslie C. Chang, and Srikanth Reddy for a special night of readings. Kazim Ali's Fasting for Ramadan: Notes from a Spiritual Practice is two books in one: the first a blog from a recent fasting cycle, the second a private fasting journal written a few years prior. In Things That No Longer Delight Me, Leslie C. Chang presents a cinematic collection of poems exploring family and memory through aid of objects. Srikanth Reddy borrows text from Secretary General of the UN and former Nazi SS officer Kurt Waldheim's controversial memoir, appropriating and returning the original text in three sections in his new collection, Voyager. Followed by a post-reading conversation led by poet Monica Youn. Audrey Magazine presents the Fourth Annual "Audrey's Fashion Night Out 2011". Join a night of music, fashion, and entertainment. With live performances from new pop group Blush, and dance group Kaba Modern. Audrey Magazine is partnering with Asians for Miracle Marrow Matches (A3M), a non-profit organization providing education and saving lives by facilitating the matching of marrow and blood cell donors. In addition to partnering with A3M, Audrey is also working with Viva la Art, a movement organizing and empowering the arts community to promote education, activism, and fundraising for socially responsible charities. More info here. Check out the L.A. premiere of Surrogate Valentine -- with the director and cast in attendance. 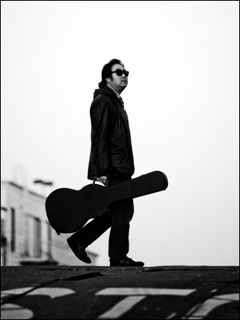 The show opens with live music from Goh Nakamura, and a Q&A following the screening. 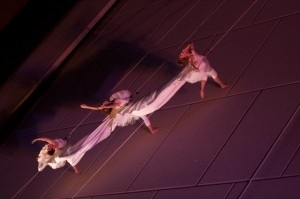 Internationally-recognized aerial dance troupe Project Bandaloop has chosen the Great Wall as the site to celebrate their 20th anniversary and present the world premiere of “Bound(less)”, a breath-taking feat of aerial performance. The streets will be shut down for this celebration of dance, live music by Dana Leong, and video projections. More info and showtimes here. Bring a mat or lawn chair for best viewing. Plate by Plate is a charity fundraising event benefiting Project by Project SF's 2011 partner: Oakland Asian Student Education Services (OASES). At the event, guests can sample food and wine from San Francisco Bay Area's top restaurants, wineries from Napa and Sonoma, interact with celebrated chefs and award-winning sommeliers, enjoy entertainment, mingle with media personalities and community leaders, and find a variety of gifts, products, travel, and entertainment items in the silent auction. More info here. 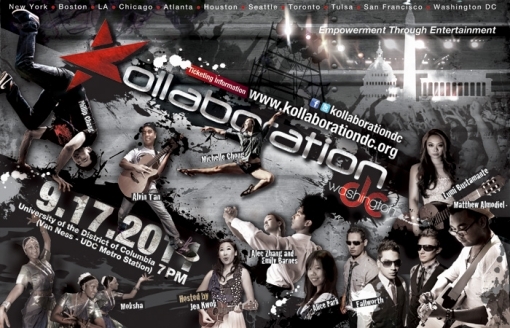 Kollaboration provides a platform for emerging APIA artists to showcase their talent. This year's Kollaboration DC will include Alice Park, Fallworth, Moksha and many more. Hosted by Jen Kwok. More info here. This Health Equity Summit will include members of the Congressional APA Caucus, Congressional Black Caucus, and the Congressional Hispanic Caucus, policymakers, researchers, and community members to examine the root causes of and solutions to health disparities. 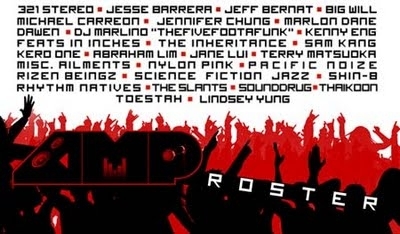 The AMP Music Festival will be an all-day event providing local and regional APIA artists an opportunity to perform at a venue with diverse audiences, encourage programs in music and culture, and foster music education and interest. With performances by Dawen, The Slants, Jane Lui, and more. More info here. Giant Robot presents "Game Night 6", complete with both outside projected and indoor gaming. 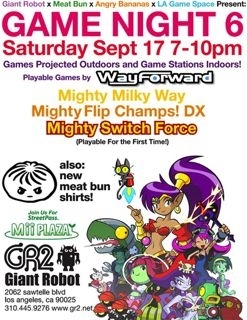 Playable games by Mighty Milky Way, Mighty Switch Force, and more. More info here. This year's SF Dragon Boat Festival includes entertainment, food, children's Dragonland, and of course plenty of exciting races. More info here. 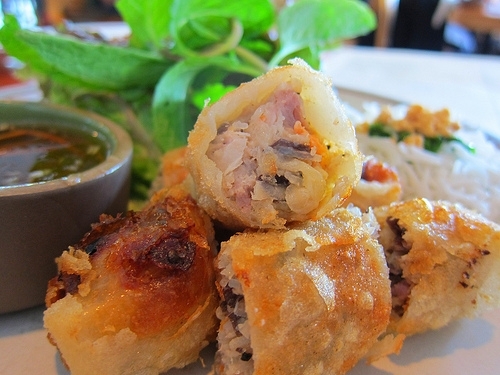 OneVietnam presents "Street Eats", an international street food charity gala. Local star chefs such as Slanted Door's Charles Phan will cook up favorite street eats from around the world to benefit OneVietnam, which uses technology to empower global citizens to make systematic changes in education, health, and quality of life in Vietnam. Co-sponsored by Hyphen. More info here. $95-225; tickets here (enter code "ovnloveshyphen" for special discount).